We love getting ready for Thanksgiving, the aroma of the food cooking in the kitchen, pies being baked, everyone working together and helping, and just all around conversation at the kitchen table. 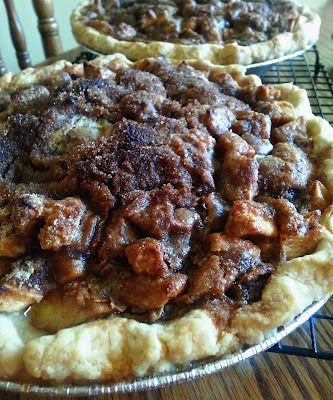 Earlier I had mentioned that we would share our family favorite of Apple Crumb Pie, time has slipped away from me to quickly and I just realized I had not shared with you. The girls and I worked together in baking this pie for a neighbor of ours a few days ago. Preheat the oven 450F. Toss lemon juice on the apples so that they do not turn brown. Mix in the remaining ingredients of the filling into the bowl of the apples. 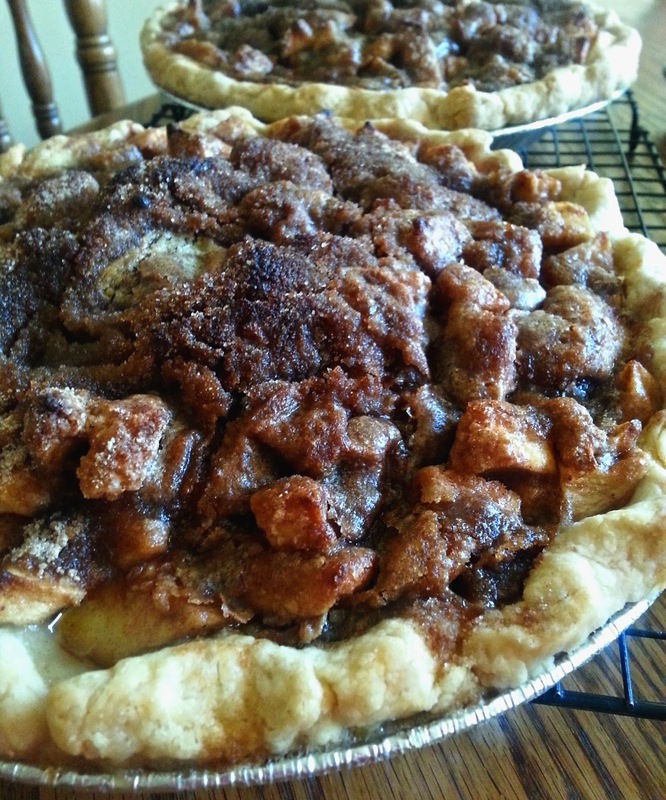 Pour the apple mixture into your pastry crust. Crumb topping: In a separate bowl from the apple filling, combine all the dry ingredients together and stick of butter. Before adding the stick of butter, cut it into several slices so that when you place it in the bowl you will be able to gently "mash" the butter into the dry ingredients. Bake for 15 minutes at 450F and then reduce to 350F for 45 minutes.